The Meccano ‘Retour du Jedi’ (Return of the Jedi) original Princess Leia has been a chimera, a collector’s dream even since the early days of the hobby. 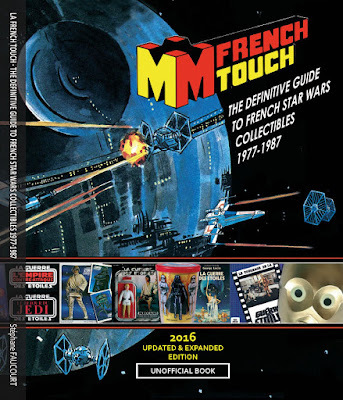 From the start, the only evidence it could have existed was a tiny 1-inch square picture of the blister on the back cover of a pocket-size PIF Poche magazine promoting a contest to win an AT-ST vehicle and action figures in 1983. 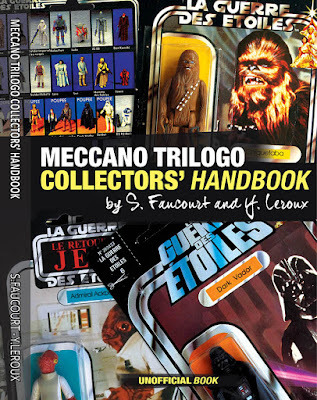 In the summer of 2014, something beyond expectations happened as a lot of 40+ Meccano ROTJ carded figures in their factory shipping box was auctioned by a famous Parisian auction house. The listing had been placed in a video game related auction and was totally overlooked. For the record, it was sold at an insanely lowball price and made the day of the lucky buyer who didn't find any competitors that day. That pictures speaks for itself. 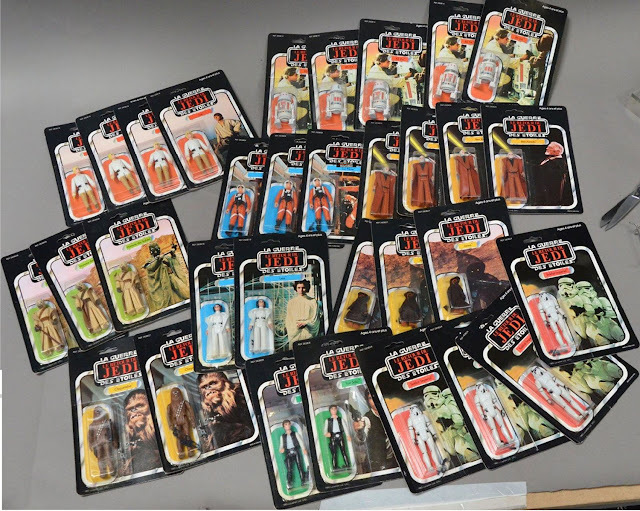 In that lot were *THREE* dead-mint specimen of the infamous Meccano ROTJ Princess Leia. Later on, those cards found their way to LULUBERLU, a famous Paris toy collectibles store, and listed for a premium. It took a little time, but they did sell because that's the only source for any collector focusing on Meccano or Leia before they'd definitely end up locked into collections!! Late 2016, Star Wars toys and various other lines from the 1980s-early 90s started to surface from a retired Meccano employee working at the product shipping & clearing department who had saved hundreds of toys he was supposed to bin. 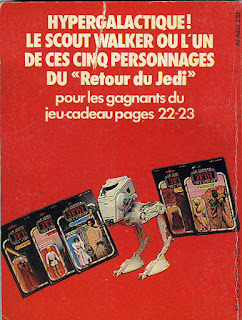 Among a huge lot of 140 Trilogo figures were a few Meccano ROTJs and square cards. 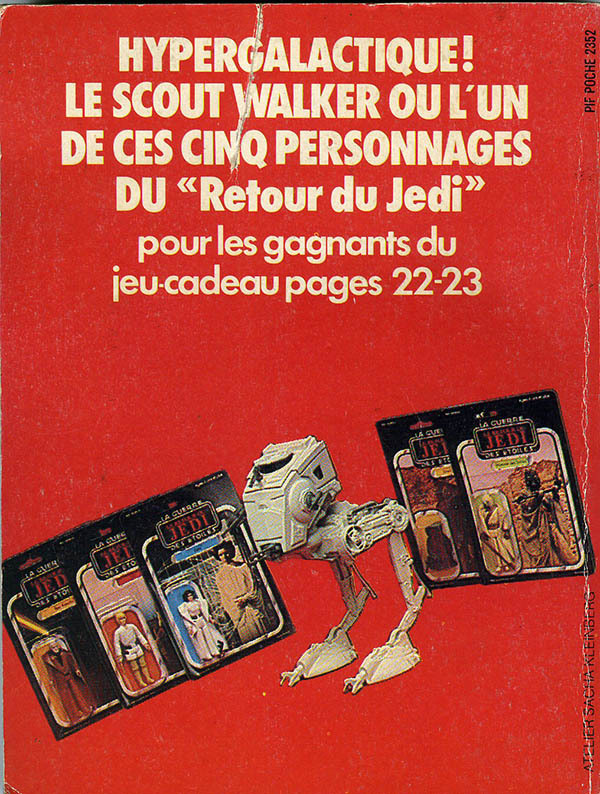 It became a nice surprise when I found out that not only he had another bunch of THREE Meccano ROTJ Leias, but some of the ROTJs were never-seen-before Meccano/Trilogo hybrid cards (that is Meccano ROTJ cardback with french large Trilogo bubble), in a similar way as Palitoys (Palitoy ROTJ with large edged Trilogo bubble). Those cards are actually late Meccano production to get rid of overstock and were sold on the Meccano clearance 3-packs. 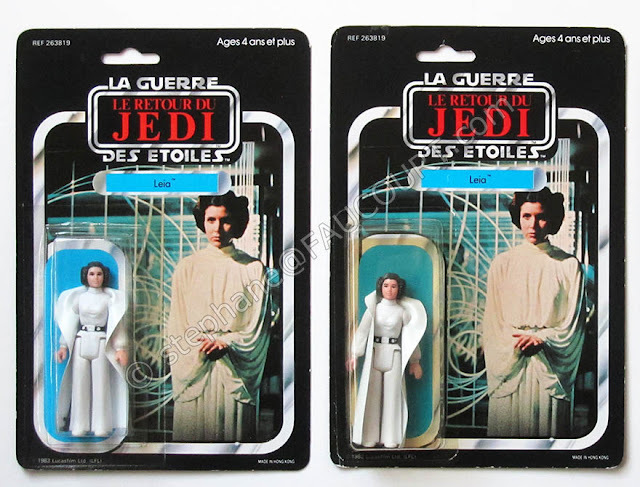 The 3 Leias in that find were also Meccano 45-backs packaged with Trilogo bubbles, so that was a nice bonus. After such bonanza in such little timeframe, nada... just a heavily damaged cardback, the first and only cardback available so far... over the past quarter of century, only those 6 carded figures have surfaced so far, which is why this card is particularly rare. 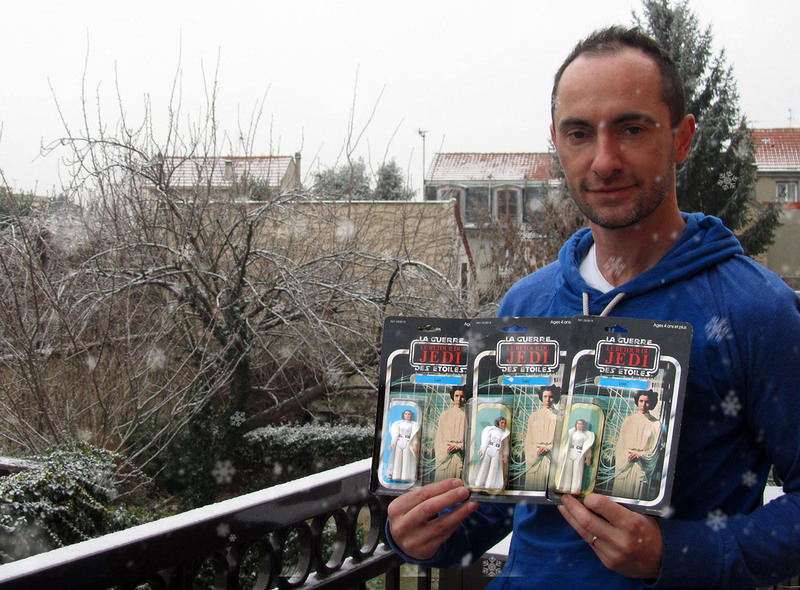 I ended up with THREE of the SIX cards known, as seen on this picture taken for the record on X-mas 2016 (snowflakes digitally enhanced 😏), and at the end of the journey I kept one of each that you see at the top of the article: the 'regular' 45-back with typical Meccano double-elevation layer bubble, and the latter 45-back with Trilogo bubble, both mint, secured forever for preservation in the Meccano-Trilogo collection. Great article. Should read "Late 2016..." instead of "Late 2006...". WOW! Great article....and what an amazing auction win for a lucky buyer!